I'm new to the creation scene. I would like to create original characters. I would like to know what dimensions I should use. Example: 50x100 100x200, 128x128 ETC. I've been reading all the articles I could on 2DWILLNEVERDIE. They have proved insightful. 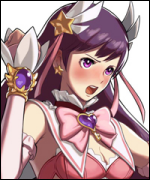 I would like to develop fighting games. If I do not receive any farther teachings, or a mentor I will begin to develop RPG inspired sprites until I am good enough for MUGEN. Also another note. How many different styles exist e.g. CVS, SFIII, DBZ V2. And why is GGXX hardly talked about? Any advice or mentorship would be appreciated. I can drop these projects in favor of another project if it will help me to learn to sprite. I guess I could be asking for a crash course into different styles. The mentoring thing you're asking (for the second time, I think) seems very unlikely to happen. - Choose a Program that can use layers. - Pick a move from a character you like, and trace over it to make it look like a different character of your choice. That's your assignment for today. I have only one suggestion. Before thinking in a full character project, center your efforts in learning to sprite. Try to learn the style you want to develope. You also would like to know that some flashy and awesome styles(SF3, GGXX) are hard because of the sprite's size or the amount of detail. 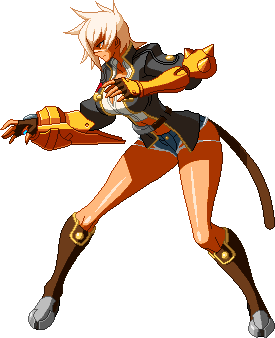 SFZ or KoF, even being SO different are good for starting, mostly because of their sprite's size. Now that you have chosen the style, pick some sprites of it and "study" them: proportions, colours, etc. This may sound pretty difficult for begining, but...it's one of the few ways. You can find some references in the characters themselves, or pages as fightersgenerations and fight-a-base. Also, what Walt said. I myself use MSPaint in an old PC I refuse to throw away(heh! I'm an emotional!). I personally would recommend Darkstalkers as a good subject for studying animation techniques. You have very clear examples of stuff like anticipation and follow-through, overshoots, squash & stretch, and smears/blurs. Even if you don't intend to do something that exaggerated, it works well as an example because of how clearly it display such things. I know I want to work with 512x512. Very similar to Blazeblue or SFIII HD. I won't grade myself. I choose Hon Fu as a base, and I wanted to HD him. close but no cigar, instead of 512 x 512 just blow the sprites up to 3 times their original size. I'm just going to have to try again. I'm thinking I should study lights, and shadows then I will become a better spriter. 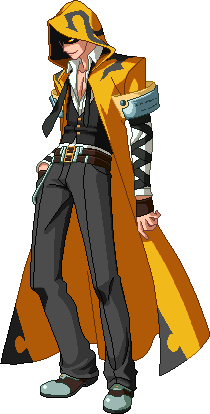 i've read an article about how blazblue characters are sprited, they basically said that they use 3d models for the animations and trace over it after that. Nikorasu, you used too many colours in the pants (they are blurred). If you're making a sprite, blurring parts of it like that is wrong. Yeah you should avoid using burn and blur if you are aiming for classic palette type, when you use those tools they multiply the colour use tenfold and makes it far harder to palette a character. AGAIN, my suggestion: Start learning to sprite with smaller sprites, such as CvS, SFZ. Those would be pretty helpful to learn basic shading and etc. As Iced and Alex said, those pants are VERY blurred and totally useless for mugen. 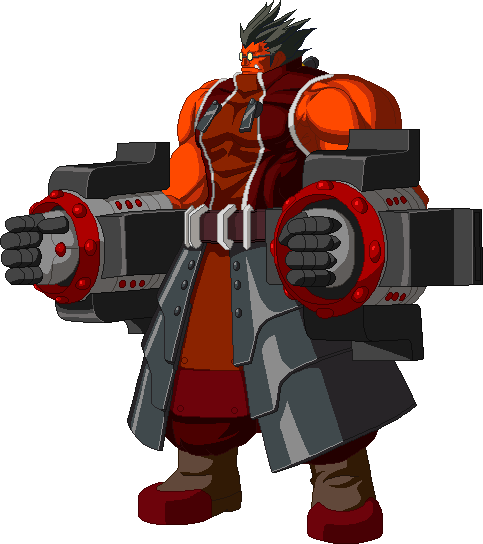 See that those sprites of Blazblue uses 4 tones for pants(and EVERY part of the bodies), not upper than 256 as your image. Again, use smaller sprites for references. Don't try learning a SUPER difficult style from the begining,since you will be fed up of spriting in the early stages of your learning. I'll make a sprite soon in CvS or SFZ style. Question: Does MvC count as CvS? An Edit of Terry from CvS made to look like Daryl Dixon. Looks nothing like Daryl Dixon. Just a suggestion: learn to sprite individual parts of the body. It makes learning the anatomy of a character much less overwhelming. edit: MvC counts as SFZ style. They could use a mini review.